In these two cases, the General Court in Luxembourg (successor to the Court of First Instance) has decided that the terms of the Aarhus Convention prevail over the EU’s own regulation about access to information, public participation, and access to justice within EU institutions. Therefore NGOs are entitled to an internal review of certain decisions taken by the EU Commission. A decision, it appears, of some controversy, given that the European Commission, European Council and European Council were all arguing against that result. It needs a bit of unpicking to see how these various provisions collide. Article 10(1) of the EU Regulation entitles established NGOs to request a review from a Community institution or body that has adopted “an administrative act” under environmental law. But “administrative act” is defined by Article 2(1)(g) as meaning any measure “of individual scope”. And it is these last words which the General Court said did not comply with the Aarhus Convention, the relevant part of which as we shall see, applies to any acts or omissions by public authorities (and, indeed private persons). So now to the cases in question. In the first, the Pesticides case, two NGOs were concerned by a Commission Regulation which set maximum residue levels in various products, food and feed. The Regulation was an implementing regulation, namely one made by the Commission exercising its powers under a Regulation which had undergone the full Brussels legislative process. The second was about an extension of time granted by the Commission to the Netherlands for compliance with the air quality directive (see here for my post on a recent claim against Defra in respect of its non-compliance with the same directive). The extension was granted under a procedure provided for under the air quality directive. So in each case we can see an “act” by the Commission under a procedure provided for in an EU directive or regulation. 9(3). In addition….. each Party shall ensure that, where they meet the criteria, if any, laid down in its national law, members of the public have access to administrative or judicial procedures to challenge acts and omissions by private persons and public authorities which contravene provisions of its national law relating to the environment. The other important Aarhus definition is of “public authority” in Article 3, which does not include “bodies or institutions acting in a judicial or legislative capacity”. 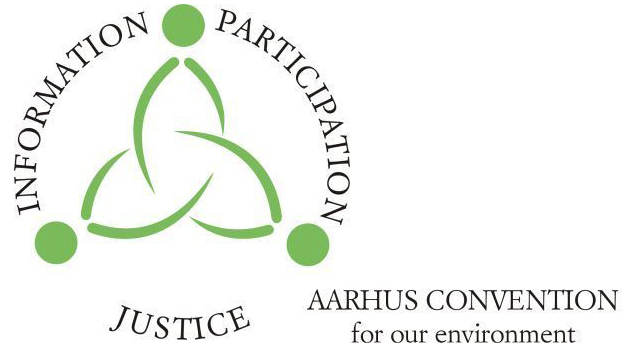 So, the NGOs said that (i) the EU Regulation was enacted to transpose the Aarhus Convention into the law governing the EU institutions; (ii) internal review in the EU Regulation is limited to administrative acts of “individual scope”; (iii) review under Article 9(3) of Aarhus is not so limited. The Court agreed. It decided both measures were of general application, and hence were ousted by the wording of the EU Regulation limiting the review to acts of individual scope. But that Regulation was inconsistent with the Aarhus Convention, and the Convention was an international treaty to which the EU was a party. Such a treaty provision prevailed over secondary EU legislation such as the Regulation. It therefore annulled the decisions not to permit a review of both the pesticides implementing regulation and of the extension of time to the Netherlands. In the first case (relevant pesticide levels set by the Commission) it seems reasonably clear that this is a measure of general application. It is less clear that the extension of time granted to the Netherlands to put its air quality in order falls into the same category. But if each measure is of general application, why is it not excluded from the scope of the Aarhus Convention, because it amounts to an act of a public authority acting in a legislative capacity? Put it another way, how much clear water is there between the idea of a measure of general application and a legislative measure? There is no correlation between measures of general application and measures taken by a public authority acting in a judicial or legislative capacity. Measures of general application are not necessarily measures taken by a public authority acting in a judicial or legislative capacity. see  of the air quality case. Er, that’s it. You can readily see that a number of administrative measures are not legislative measures. But it is not readily apparent why as a matter of theory the Commission’s implementing regulation in the pesticides case is not a legislative measure. After all, precisely the same pesticides limit could have been set in the original regulation, with the same legal effect on those to whom it was addressed, and then there would have been little doubt that it was a legislative measure. Perhaps the Court knew it was facing a bit of a dilemma. The real answer is that, properly analysed, both are legislative measures, in precisely the same way that primary and secondary UK legislation are both legislation, even though they operate according to slightly different constitutional rules. But this would come across as a bit embarrassing, because the Commission should not really be perceived as exercising legislative powers when it puts forward an implementing regulation, which is supposed to be an administrative measure, otherwise it may be thought not to have sufficient legitimacy. That said, there is little if anything to disagree with the conclusion reached by the Court. There has been much criticism of the rather limited way in which the EU Regulation at issue transpose Aarhus and the principles of transparency more generally. So, the least the Court can do what it has done here in other cases, which is to approximate the protection given by Aarhus to that actually given by the EU when (supposedly) playing Aarhus rules. After all, there is nothing all that shocking about making the Commission carry out an internal review of a significant decision it has already made. That decision ought to be reasoned, and ought to be reasoned in a way which can be explained to NGOs, rather than simply coming as a diktat from on high. So, at very least, one modest step towards greater transparency in cases where the European Commission is behaving “administratively” – or is at least claiming to.